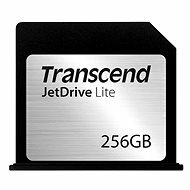 Memory cards designed for selected Apple computers. Using them increases the storage space of your MacBook. Apart from the additional storage capacity, they also have an attractive detailed design. Each card fits into the port perfectly and does not stick out. 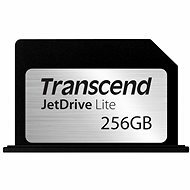 If you are going on a trip and need to pack your MacBook in a bag, you can leave the Transcend JetDrive card in its slot. 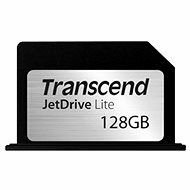 When shopping, remember to check that the memory card you are planning to buy is compatible with your MacBook. 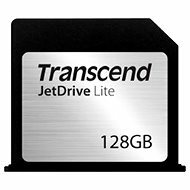 The Transcend JetDrive memory cards use the MLC storage technology for their operation. Compared to the older SLC (Single-Level Cell), the MLCs can save not one, but two bits of data. In other words, compared to SLC, MLC requires only half of memory cells. In effect, a Multi-Level Cell card can hold more data and has a larger capacity. At the same time, it has lower production costs. The only drawback is the service life, which is lower than in the older SLC cards (by service life we mean the number of new recordings and subsequent deletions made on the card).